Are you struggling in finding out how to write econs essays? Constantly getting either L1s or low L2s for them? When I was doing JC economics, I would often face the same problems again and again. No matter which essay I wrote, my grades were constantly just that: L1s. Us. I did my best, really. I consulted my teachers, memorised my school notes, and regurgitated all I knew into my essays, hoping to at least scrape a L2. Despite all the effort I put into my essays, I ended up getting the same old dismal results again and again. I was upset. In fact, I was frustrated. What am I doing wrong? How can I write a remotely decent econs essay? My experience might resonate with many economics students out there. Putting in so much effort and not getting the results you want can be crushing. If you are nearing your A levels, it leaves you desperate, not knowing what to do. You may think you don’t have time to do this, but hear me out: planning is important. 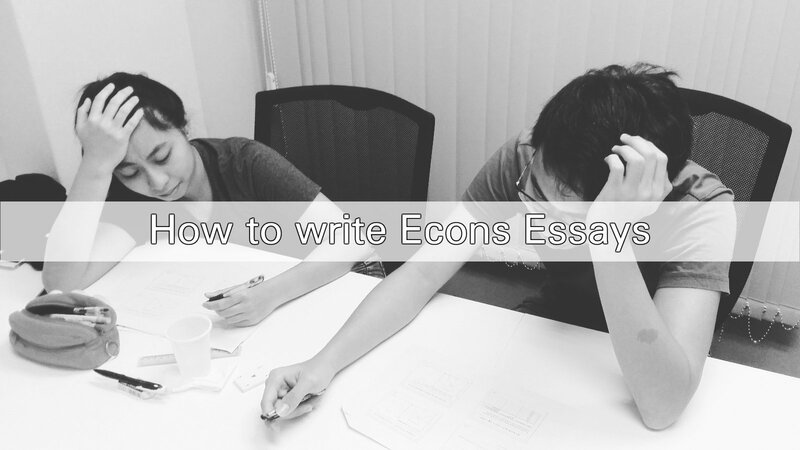 Take 2 to 3 minutes to plan for every econs essay. How many times have you written an econs essay halfway, only to realise you’ve gone out of point? Planning helps you to visualise your content. It helps to instil clarity and a sense of direction: knowing what to write, and how to write. 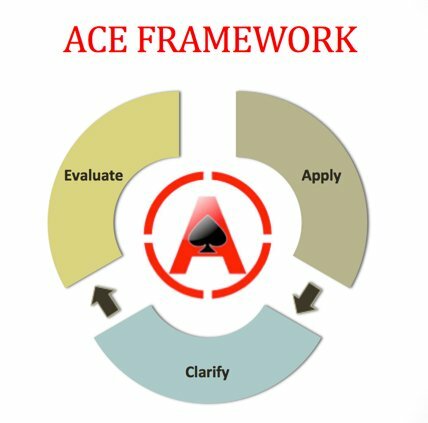 It also helps to establish structure, which brings me to my next tip. Structure makes your essay easier to read and follow. Structure also helps keep your essay straightforward, which will often serve to score you more marks! Messy essays often leave examiners confused and frustrated, causing such essays to be penalised. – It is also where you show the links and mechanisms behind the econs concepts the question is testing, which helps to strengthen economic rigour, and leave your examiners impressed! – Or simply pointing out the flaws in econs concepts tested (e.g. the ceteris paribus assumption does not hold in reality). Ah, how many times have you been told by your teachers you lack economic rigour? And you still have no inkling of what is required for you to have “economic rigour”? It’s really simple. Economic rigour just means that you have to show clearly the links and mechanisms behind the concepts tested in the econs question presented to you. Often times, many students jump from one process to another, without clearly explaining the processes in between. For example: The fall in demand for white rice will cause price level to decrease. This is vague, and provides little to no explanation. What caused the fall in demand? Why is there an increase in price level? These are factors not explained, which cause examiners to perceive a student as “lacking in economic rigour”. A change in the taste and preference of consumers from white rice to brown rice will cause the demand for white rice to decrease. This creates a temporary surplus of white rice, which results in a downward pressure on the price of white rice. The price of white rice decreases. Diagrams are essential in helping you illustrate your concepts well. That being said, when diagrammatic analysis is used well, it will help to boost your essay immensely. Keep referring to the diagrams in your essay, stating and explaining the shifts and movements. Failure to do so would cause your examiner to discredit your diagram (and we wouldn’t want that to happen, would we?). Of course, you should only include diagrams which are relevant to your argument in your econs essay. 5. Finally, practice, practice, and practice more! Practice makes perfect. Surely, as econs is a humanities subject, there is no definite perfect essay. However, practice helps you to internalise your content, and keeps you consistent in all the aspects of econs essay writing: Planning, Structure, Rigour, and Diagrams. With practice, you’ll be able to identify what concepts and diagrams to apply to each essay, and do so at a much faster pace with greater precision! This is why at Ace Your Econs, our programmes offer ample econs essay practices for our students. That’s because we realise the importance of practice! I hope the tips mentioned above will prove to be of great help to you. If you find that you need further guidance and help, time is running out! Do reach out to us and let us help you work towards an A for Econs together. Meanwhile, happy econs essay writing!